core services provide you with all the benefits of core designs in a “ready to go” package, including a core cloud server to host collaboration inside your organisation and with the rest of the world. Available for a simple, fixed monthly service fee, the core services package puts you in control of your information technology, and keeps you there. You choose a support service provider (internal or external) to provide front line technical support to your users. 21core provides the service quality management tools that allow you and your support provider to work efficiently and securely. 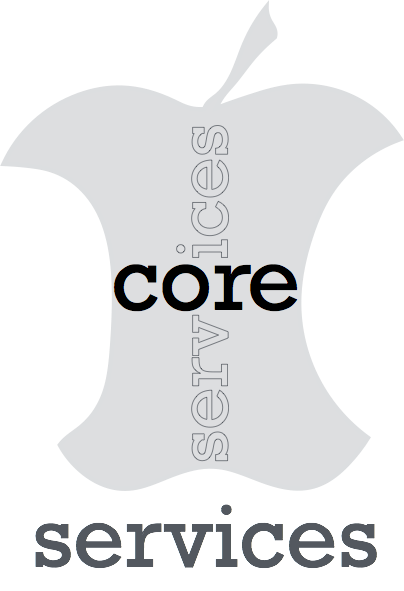 Get the PDF describing the core services from here: core services 2014. To sign up for core services contact us. Distributed file sharing for 2 mobile users + core cloud server, 1Tb online storage, secure sharing and iPhone/iPad/Mac/PC apps. If you have additional needs not listed above, we offer Service Options for fixed prices, and Premium Integration Packs for more complex needs. Customer must select a Support Service Provider who will provide front line technical support. They can be an internal IT person, or a member of the Apple Consultant Network. If you do not have a preferred provider, 21core will help you select one. Technical support & service Setup, migration, customisation, day-to-day technical support services, technical assistance, training, problem remediation, and user management not specifically included in the core services listed above.